Malaysiakini : The Thai Army concurs with a statement by the Narathiwat police, several days ago, that 41 home-made bombs seized in the Takbai district several days ago, were produced in neighbouring Malaysia and smuggled into the country. According to Fourth Army Region commander, Lt Gen Piyawat Nakwanich, the home-made bombs were meant for use in "staging attacks" by militants after the fasting month of Ramadan. "From our investigation, we found the bombs were smuggled from Malaysia, but we need to conduct further probe to determine whether they were smuggled in complete form or in parts and later re-assembled in the country," he told Bernama when contacted in Bangkok today. The general, who is the Thai Army's highest ranking officer in the restive southern Thailand was asked to comment on the home-made bomb seizure at a police checkpoint in Kampung Saring, Takbai three days ago, which also saw the arrest of its 39-year-old driver. Also seized from the pick-up truck were timers for the explosives and several communication devices, which according to Explosive, Ordnance and Disposal (EOD) officers at the scene, would be used to remotely detonate the bombs, each weighing about 500 grams. Piyawat, the man entrusted by Bangkok to quell the armed unrest in southern Thailand reiterated allegations on Malaysia being the origin of the home-made bombs, which was first made by Narathiwat police chief, Maj Gen Manas Sikamat when he spoke to the local media, a day after the seizure of bombs. The home-made bombs, according to him, were smuggled into southern Thailand via "natural border route", with many speculating the smuggler used the narrow Sungai Golok river separating the two countries to bring in the explosives. Reminiscent ain't it, like the smuggling of weapons to Moroland? Sungai Golok which has been notorious for smuggling activities also acts as a natural border, demarcating the town of Sungai Golok in Narathiwat province and Kelantan's Rantau Panjang. Investigators said the pick-up truck loaded with the home-made bombs was from Sungai Golok before it was stopped in Takbai, en route to delivering its deadly package to an unidentified individual in Ranget, Narathiwat. The army general also said the authorities had been intensifying efforts to track down a suspect linked to the home-made bomb seizure, who managed to flee and was believed to have gone into hiding with his friends. Despite the large seizure of home-made bombs in Narathiwat, Piyawat remained upbeat with the improving situation in southern Thailand. The overall situation has improved markedly, he explained, pointing out that from 10 violent cases in southern Thailand, only a few were related to the ongoing armed conflicts while the rest were caused by personal disputes. 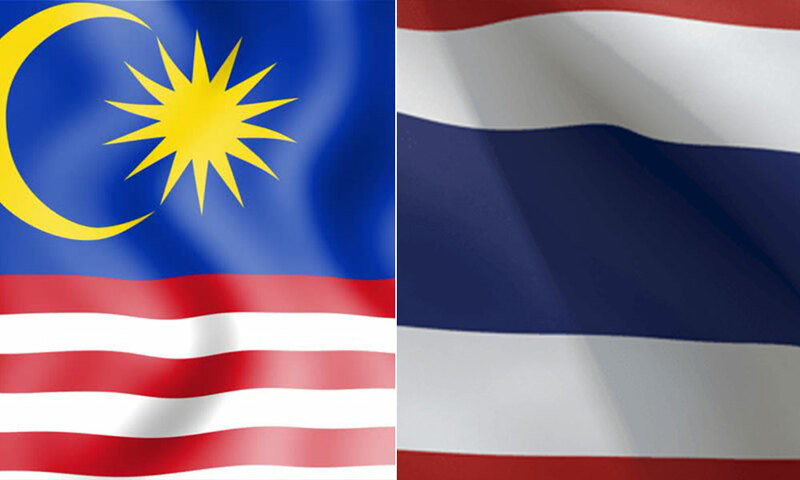 According to a non-governmental organisation, Deep South Watch, which monitors the situation in southern Thailand, about 7,000 people lost their lives since 2004 as a result of the armed conflict in four southernmost provinces near the Thai-Malaysian border.